“Contrasts” – 40″x30″ acrylic on canvas. 4th in the WWII Series. Not for sale. 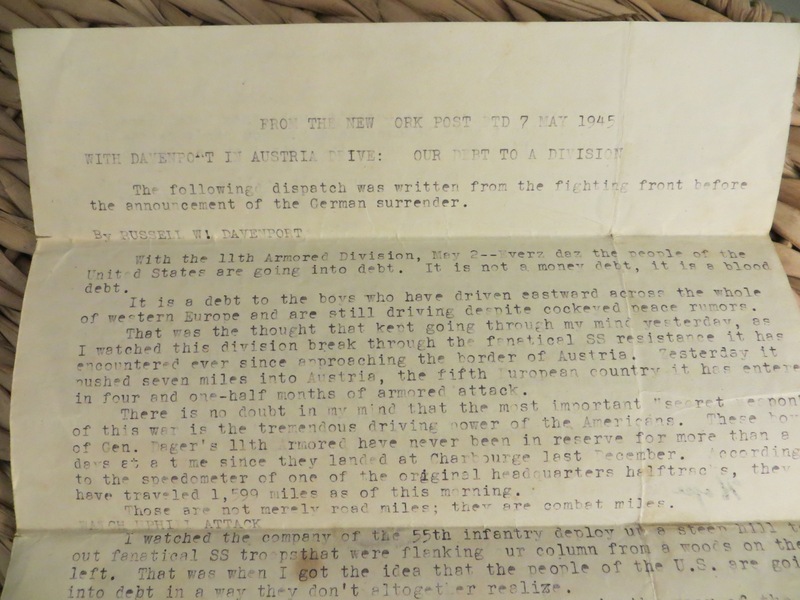 Those were the opening lines of a dispatch written by Russell W. Davenport for the New York Post, dated May 7, 1945, describing the combat division and group that Dennis’s dad, Sgt. H. Rex Nelson, was a part of. The gritty scene described above stands in stark contrast to the peaceful, debonair pose of Dad Nelson (pictured here). 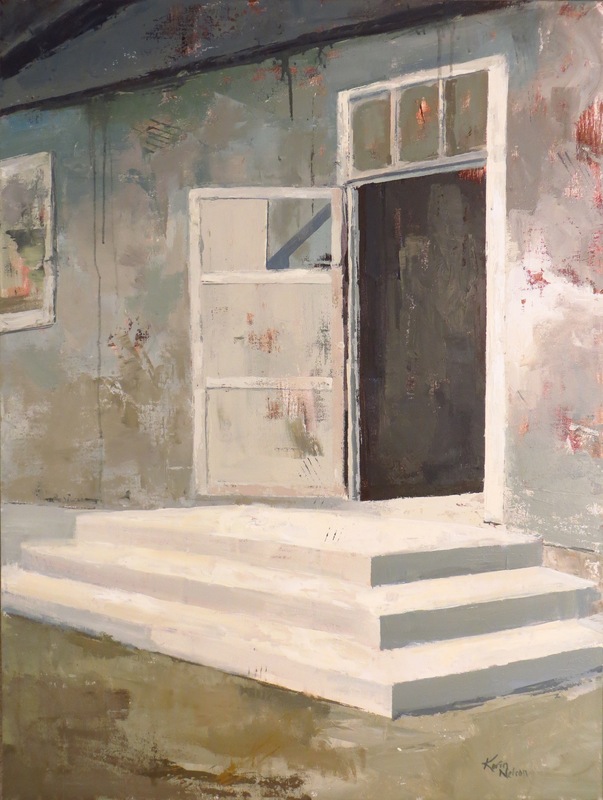 My painting of the photo is therefore a visual work of contrasts: the darkly shadowed interior juxtaposed against the brightly lit exterior, and expressed with multiple layers, drips, and marks. A typed copy of the article. 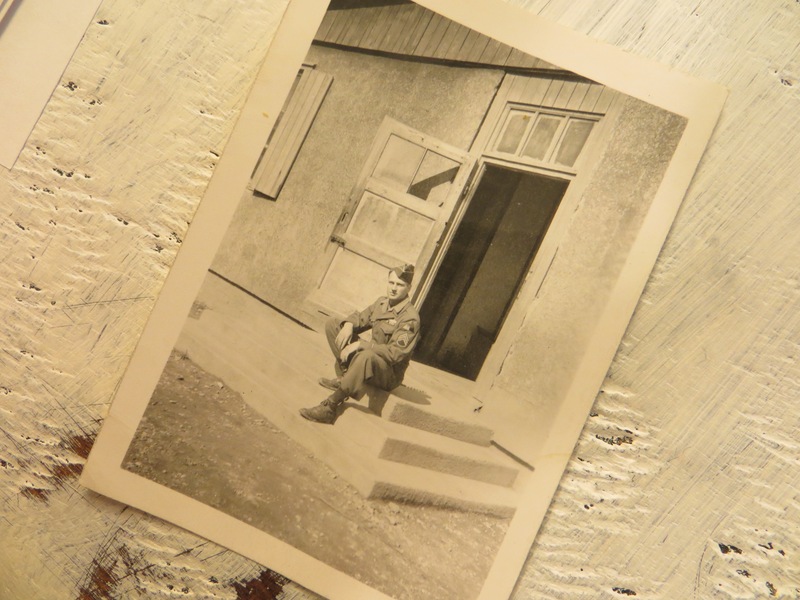 To view the first three paintings in the WWII SERIES, see my Blog posts dated July 2, July 21, and July 28. It brings back frightening memories to my mind being a child and hearing the awful details from the war zones in Europe and the Pacific. Added to my sadness was having three brothers in the military one of whom saw action that crushed his mind and spirit for a long time. Fortunately, through his faith in Jesus Christ, he was able to go forward marrying and raising a family. However, the emotional scars remained a long time. He is now safely “home” with Jesus where he is completely whole again.